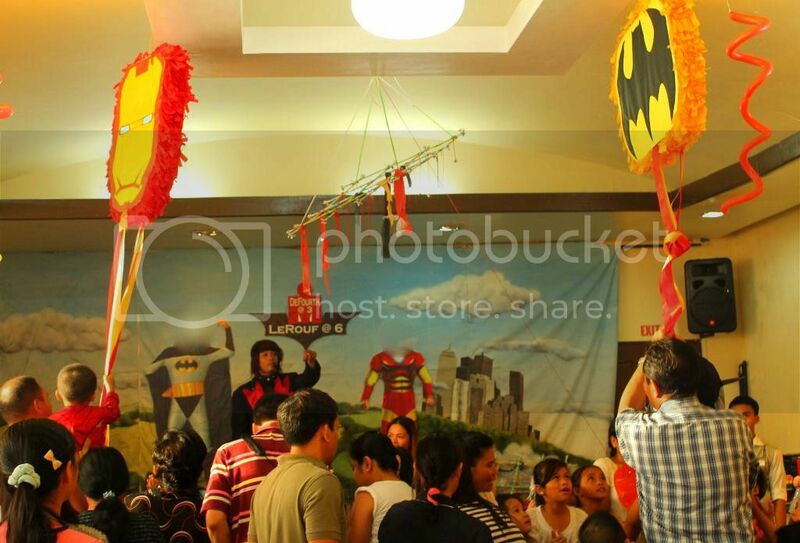 My Little Superheroes had a joint celebration last November 18 at the Westown Hotel here in Iloilo City. Well, that’s what they get for being born on the first and the last day of the same month:-). It was a real blast for the little superheroes who dressed up as their favorite characters – Firstborn came as Batman and Secondborn came as his ultimate superhero favorite, Ironman. 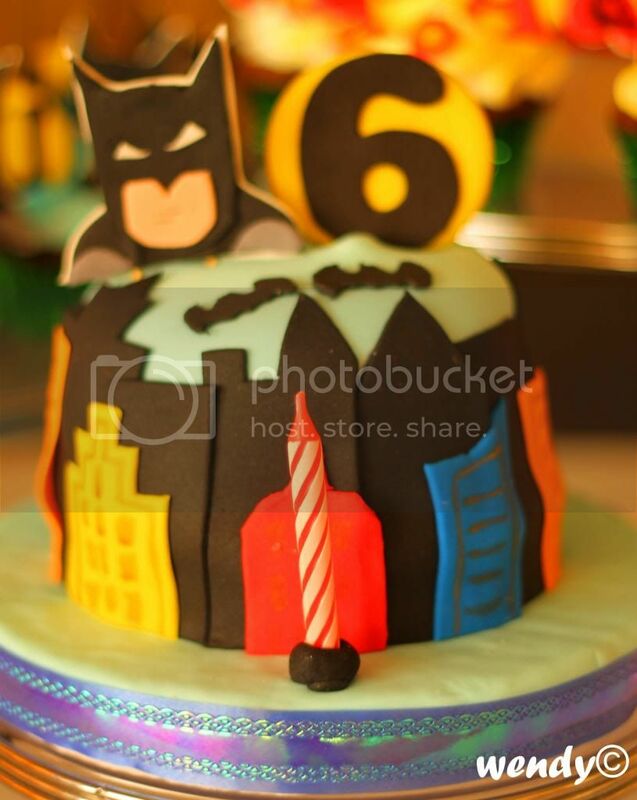 They have matching cakes for their fave superheroes, of course! 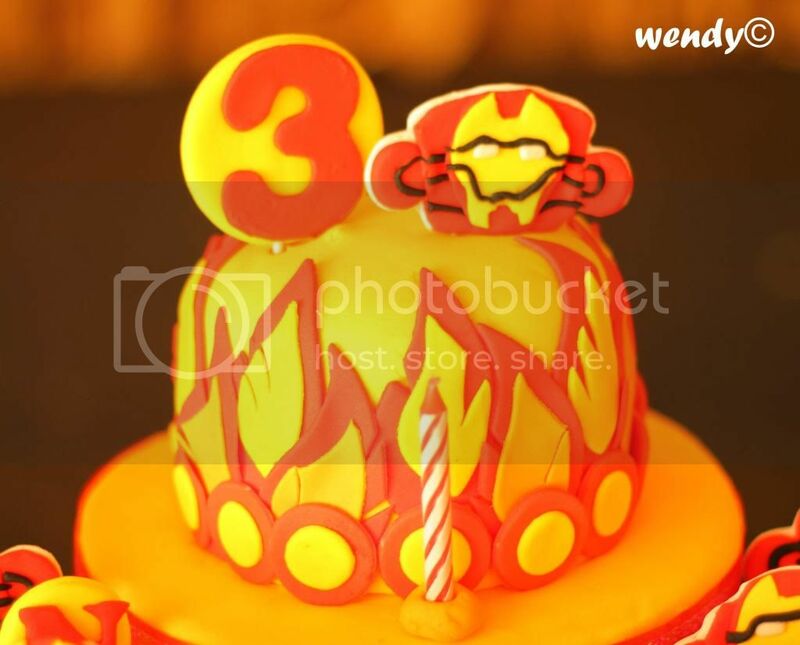 They each have Ironman and Batman cupcakes, too! This time, I didn’t have to do the cakes and cupcakes myself unlike during their birthday parties last year when I had to do almost everything on my own in Seoul. Those were done with great love but the current ones are more pleasing to the eyes… lol. 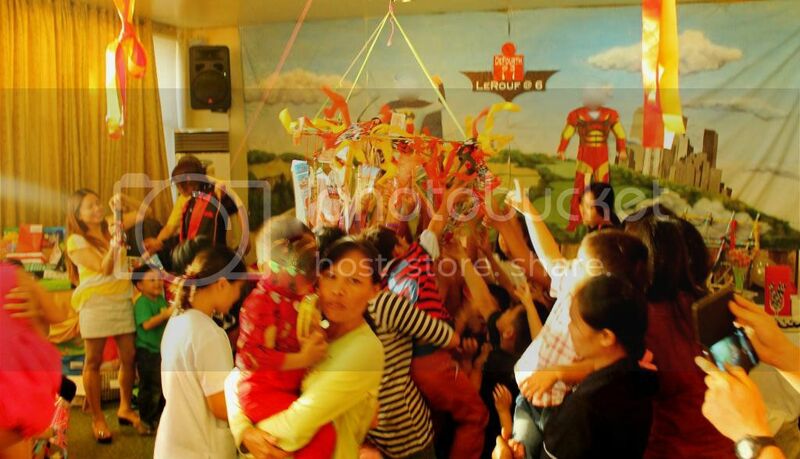 It was so much fun watching kids and adults alike enjoying this very common kiddie party activity. In fact, it looks like adults were the ones getting the items:-). I guess, the kiddie feeling would always follow us to adulthood. 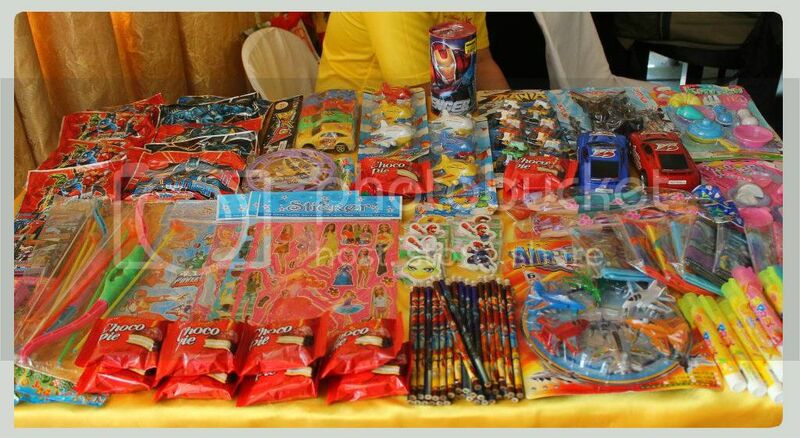 It’s amazing how yayas and even parents could do anything – and that includes struggling it out to get their kid’s share of candies amd toys from the pabitin and the pinatas – to please their kids. It prompted the host/magician to good-naturedly exclaim that the pabitin is for the adults instead of for the kids:-). 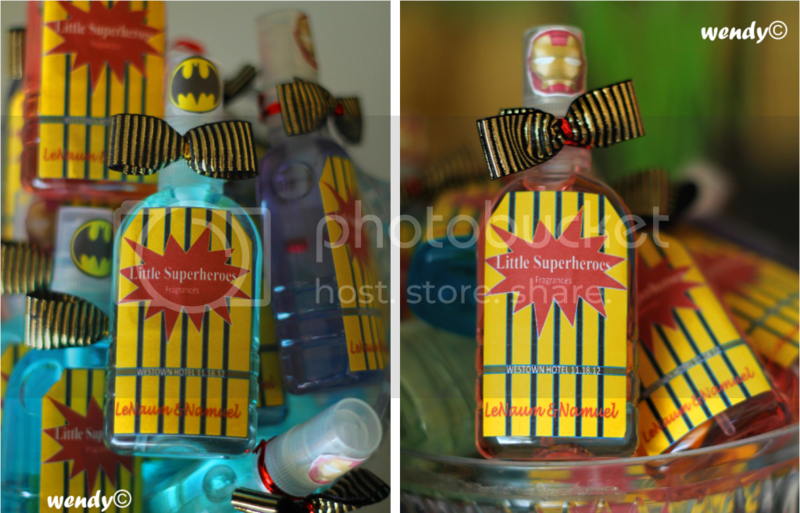 The presence of all the guests was very much appreciated by my little superheroes. 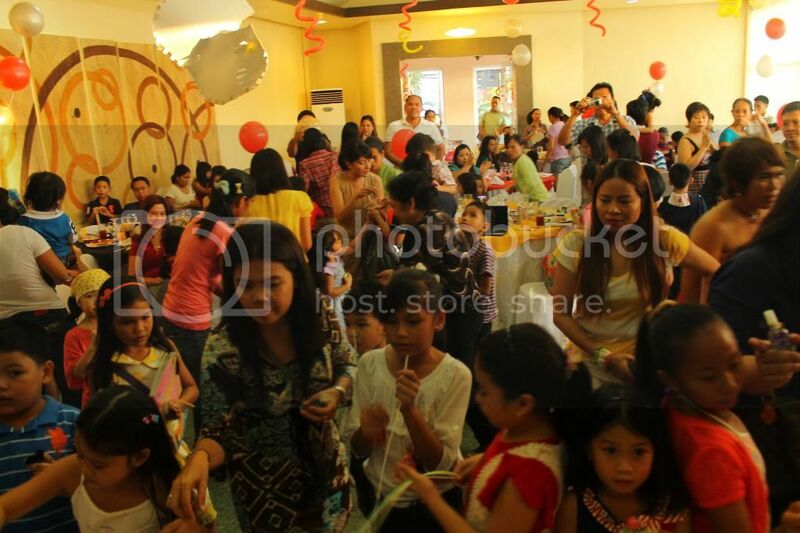 Though a lot of the guests didn’t rsvp as requested ( I had to request three additional tables and some guests had to be accommodated outside of the function room), I am very certain that this is a birthday celebration that the kiddos will remember with so much fun. And thanks to technology, hubby watched his kids enjoy their party in real-time from his part of the world.